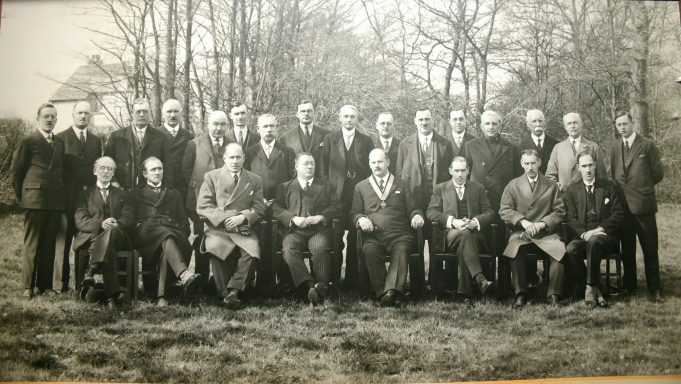 This picture shows the council members assembled for the group photograph 1929 – 1930. Amongst the assembled are P. Landgraf and H.A.W. Yeaxlee. 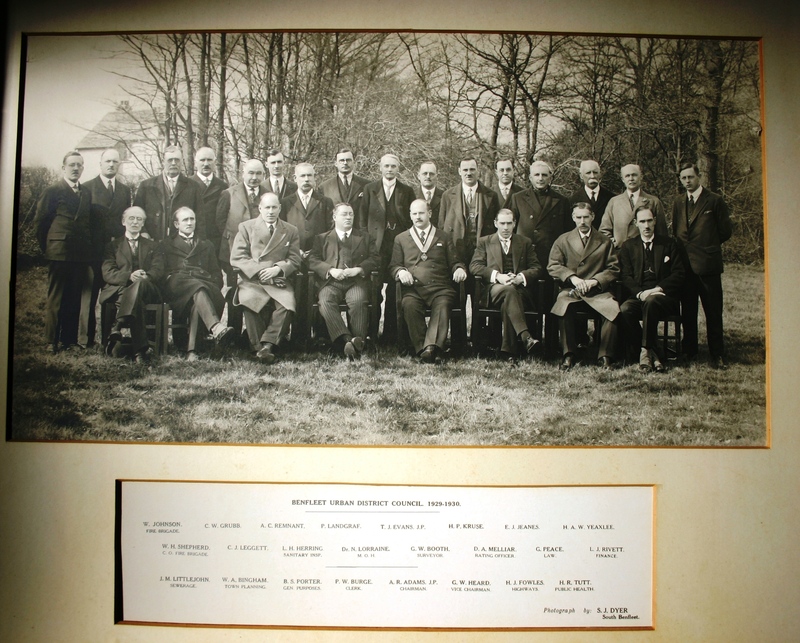 In the top left corner of the photo a gentleman named W. Johnson who has connections with the Fire Brigade stands just behind W.H. Shepherd C.O. Fire Brigade. H.A.W. Yeaxlee is possibly connected to the old fashioned department store named Yeaxlee’s which was located in Hadleigh but closed some time in the 1960s. H.A.W Yeaxlee is Henry Arthur Wellesley Yeaxlee born 1873. He was a draper and shopkeeper, who according to the 1901 and 1911 censuses was at the Parade in Hadleigh.